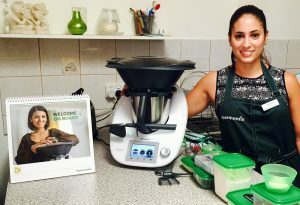 The butterfly whisk is perfect for whipping egg whites and emulsifying to make creamy mayonnaise. 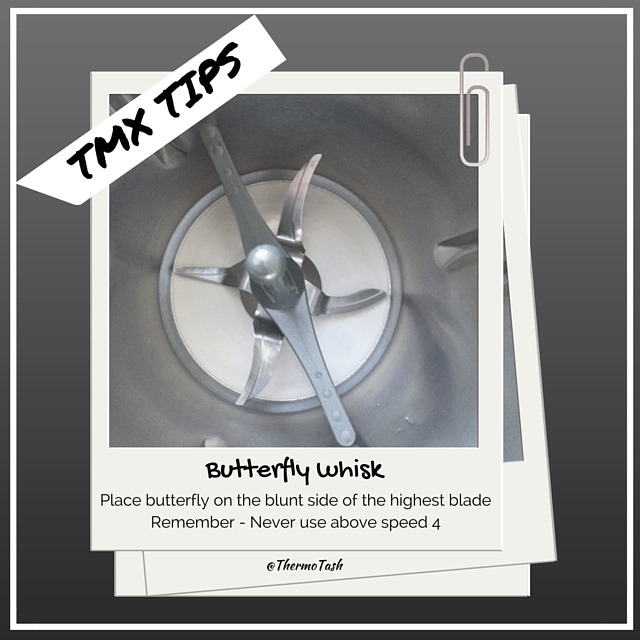 The tip to insert your butterfly whisk is to place it on the blunt side of the highest blade (as shown in the picture above) and be sure to give it a little clockwise turn to “lock” it into place. If you already have food in the bowl then use the butterfly to move the food around so it goes into position easily. When making risotto make sure you insert the butterfly before pouring the rice in. Please ensure when cooking using the butterfly whisk that you do not exceed speed 4.